“Fairy tales are more than true; not because they tell us that dragons exist, but because they tell us that dragons can be beaten.” G.K. Chesterton. I rarely spend time anymore arguing if creation happened this way or that way, or if everything in the Bible is ‘completely true,’ and the facts have remained untouched for thousands of years. I no longer raise my voice over ‘whose voice’ wrote the stories of faith that were passed down to me, whether it was dictated precisely, ideas whispered, or the talent and imagination were given to gifted writers and storytellers long ago. Sure, I’ve got thoughts on those subjects, but those topics are not what I wrestle with at the end of the day. I wrestle with my own dragons. I wander around dungeons trying to escape into the sunlight. 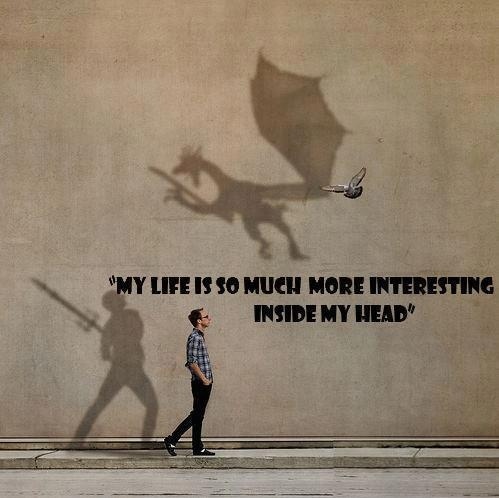 I think, maybe, we all have our dragons, lurking in caves, or flying overhead. Once in a while they sneak up on us; once in a while we can ignore them. Sometimes our dungeons are dark and dreary, and sometimes our dungeons resemble our living room couch. And while rules and regulations might be of some value for daily living, they are not what comforts us, they do not inspire change or transformation; rules do not challenge us to live into a fuller and more wonderful version of ourselves. Rules do not help free us from our dungeons, or fight our dragons; rules tell us when we’re not using the correct fighting form, rules tell us prison bars cannot be broken by our own strength. Being a ‘Type A’ personality, this angers me. I want to know what to do, I want to check it off my list as done, problem solved, dragon – defeated. Whether that is a dream never realized, a number on a scale, a family issue that needs resolving, a conflict at my workplace, or a gaping hole in my own self-worth. I search for the how-to manual of life, but the older I get the more I realize, there is none. There is no manual for life, but there are stories. A story can link you and I together, can unite strangers as friends, a story can show us we are not alone in the dungeon, can show us there are others who are walking with us. At Pointe of Grace all are welcome to “come explore and experience the story of God’s grace in your life.” Sometimes, we are overwhelmed with the beauty of life, with the love we find in our communities – friends and families alike. At other times, exploring this story is hard and painful. But what I have found within this community are people willing to walk with one another through these moments. I have seen dragons defeated, and I have seen light being revealed in the midst of very dark dungeons. But there are days when death and pain still creep into our lives. Stories of faith and grace and love do not in and of themselves take away death or pain. And while some of these stories of faith might look similar to fairytales, I do not think that makes them any less true. Just as fairy tales tell us that dragons can be beaten, stories of faith show us that death and pain do not get the last word. These stories show us that there are moments of grace woven throughout our lives. We are brought together in and through these quiet moments of walking with another, moments of compassion and care, and through moments of love. We are invited to explore and experience these stories together, as a community, and to retell them over and over. After all, they are more than true – because they tell us that dragons can be beaten.